Someone commented on my blog recently that they LOVE my website so I think it is time to give credit where credit is due. Wichita Webmasters helped me get my website up and running. These guys are wonderful to work with! 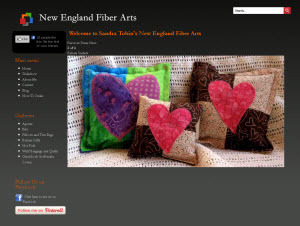 They first sent me out to other fiber art websites so I could get a feel of what was out there and what was possible. I actually found a site on my own that I rather liked so I sent them out to have a look. They then sent me to a site they had designed recently which was my jumping off point. I expressed to them what I wanted the site to look like and what I thought would work well for me and so began the fine tuning process. Once the template for the site was ready, it was now time for me to populate the site. To say that I am NOT computer savvy would be a severe understatement. They trained me via Web-Ex, which is a fancy way of skyping, since they do not live locally. Every step of the way they were patient with me, very professional and the most important thing, had a sense of humor. Once the site was up and running, it was now time to start blogging, which for me was the most mind boggling thing yet. After working out a few glitches with the blog, things have been running smoothly now for about 6 months. All questions or problems are immediately answered and the support and encouragement I received along the way was terrific. I wasn't sure what picture to put out there for this entry but I think this one is appropriate since I truly heart these guys. THANKS FOR EVERYTHING! After finishing the ribbon cutting ceremonies here at the canal I am officially calling myself "Drupal Dame"
You guys are the best! I'll miss our Monday chats guessing who I am speaking to, John or Dane, and have thoroughly enjoyed this learning experience. You were very patient teachers "interpretating" and translating my computer language. "Perfect service! This is not an overstatement. These guys are always graciously accommodating, even with picky rush requests. For years, the Hutchersons have been fulfilling our non-profit organization's technology and web needs.There is often a need to coordinate web content with enews stories on a rush basis, and they have never let us down. Sometimes I forget to request an update, but these guys are right there, gently reminding me of content requirements. We work remotely, but I can tell they're smiling out there in cyberspace. 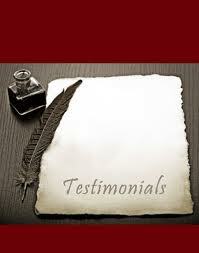 It is such a pleasure to work with people who truly understand customer service and have an upbeat can-do attitude. Our readers tell us how much they appreciate the website. Thank you, Dane and John, for making it possible."